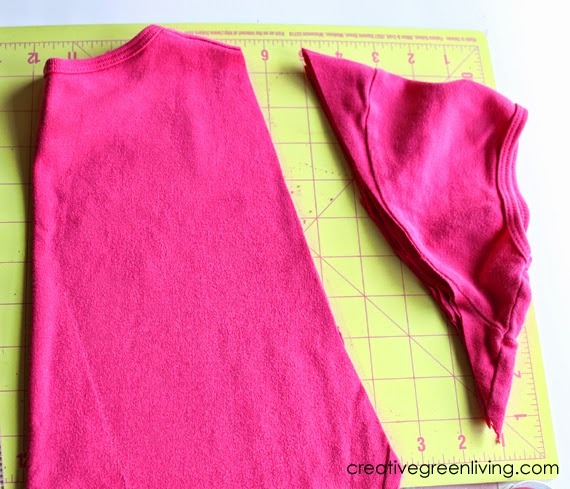 Fold your shirt in half on top of your cutting mat. 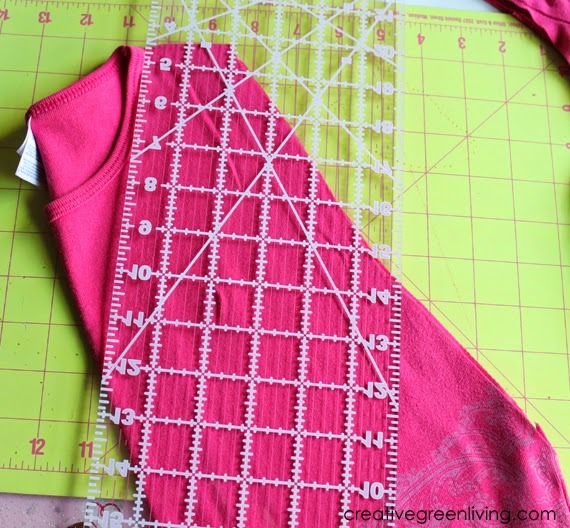 Lay your straight edge or quilting ruler at an angle (as shown) in order to cut off the sleeves. 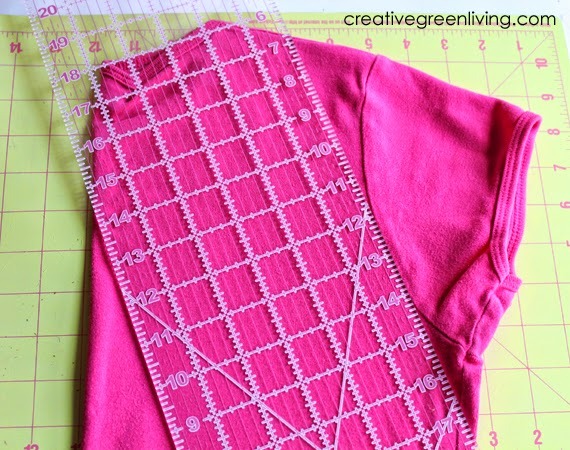 Lay the ruler angled in the opposite direction to cut off the neckline. 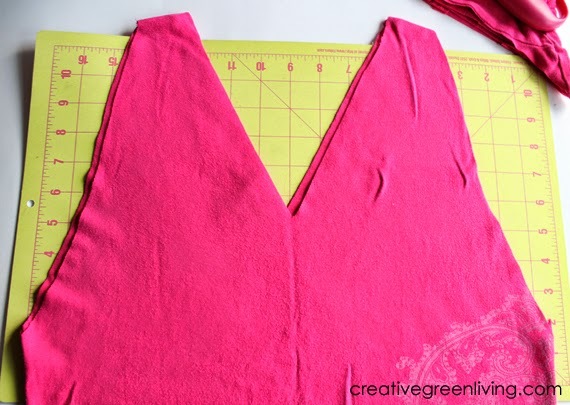 This cut does not need to be as deep as the sleeve cut. 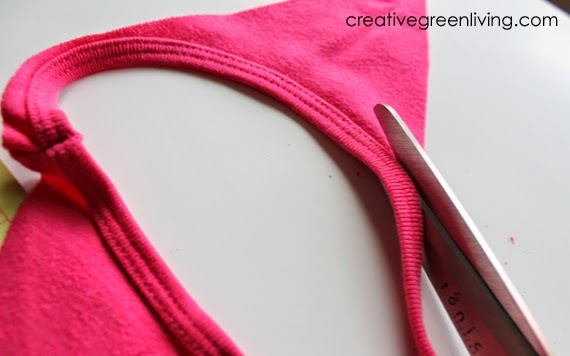 Use your scissors to neatly trim the neckline away from the fabric around it. 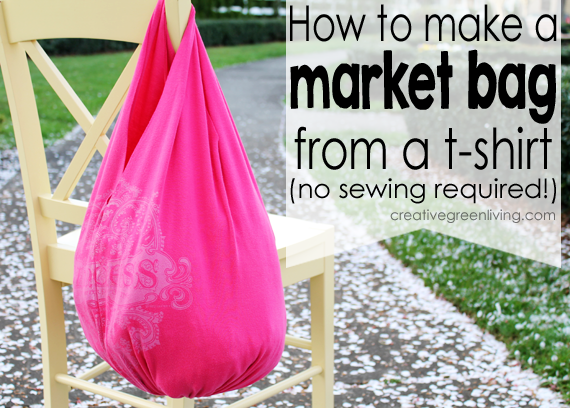 The neckline should have a single seam. Snip the threads holding the seam so that the neckline is now one long strip. 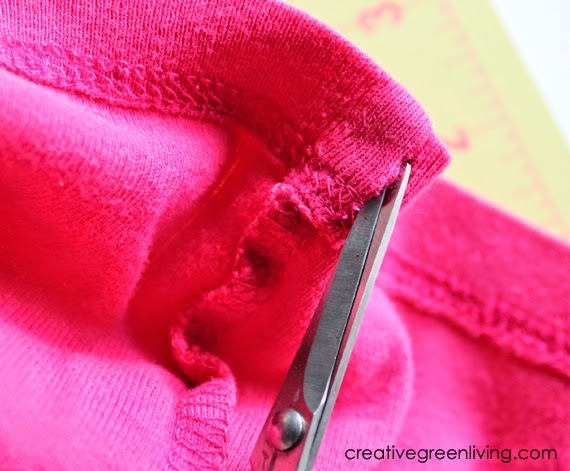 Locate one of the side seams inside the bottom hem of the shirt. 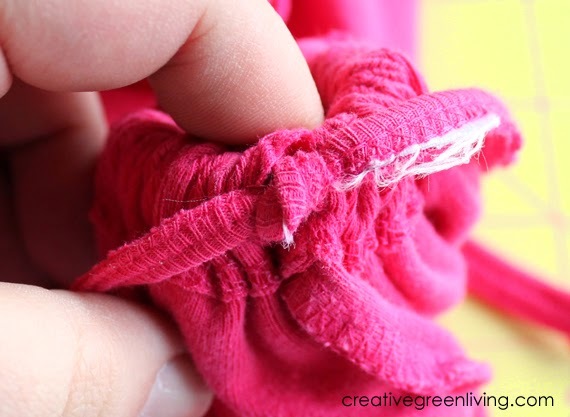 Snip the threads to make an opening in the hem. 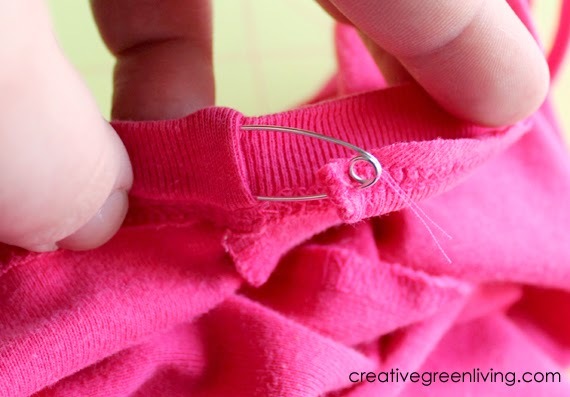 Clip the safety pin onto the end of the neckline strip. 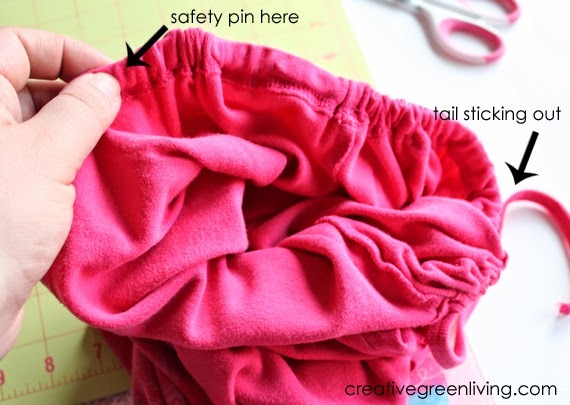 Thread the safety pin into the hole you made in the hem. 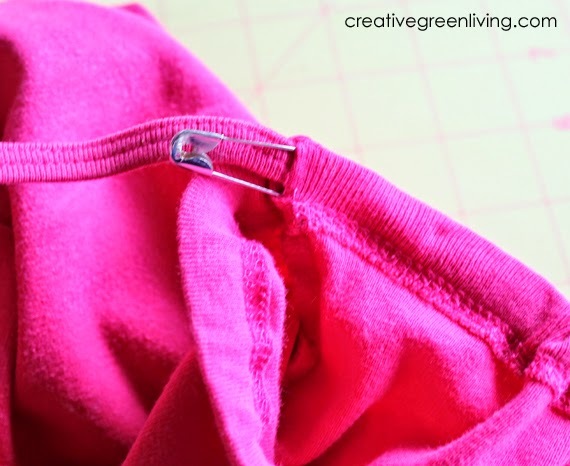 Use the safety pin to thread the neckline strip all the way through the lower hem of the shirt, scrunching the shirt along the neckline as you go. 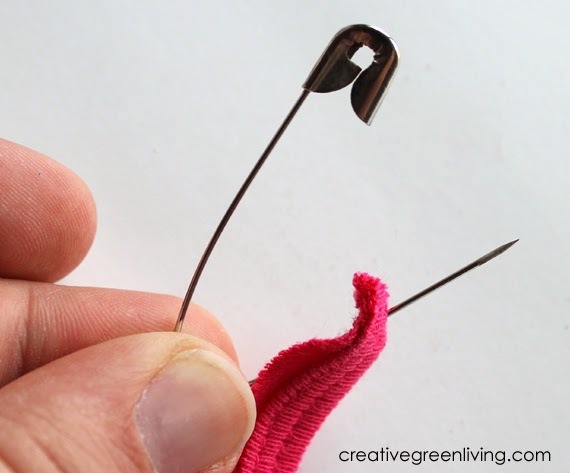 When you get back to the hole you started at, pop the safety pin out through the hole and pull the rest of the neckline strip through. 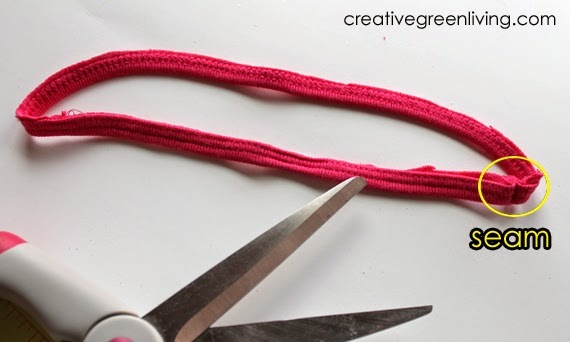 Pull on the neckline and scrunch the shirt together as tight as you can before tying the two ends of the neckline in a knot. 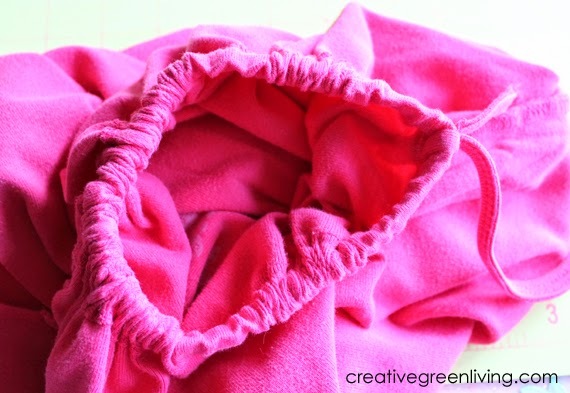 There may be a small hole in the center where you scrunched the fabric together. As you can see in the photo above, the hole in the bottom of mine is large enough for my index finger. 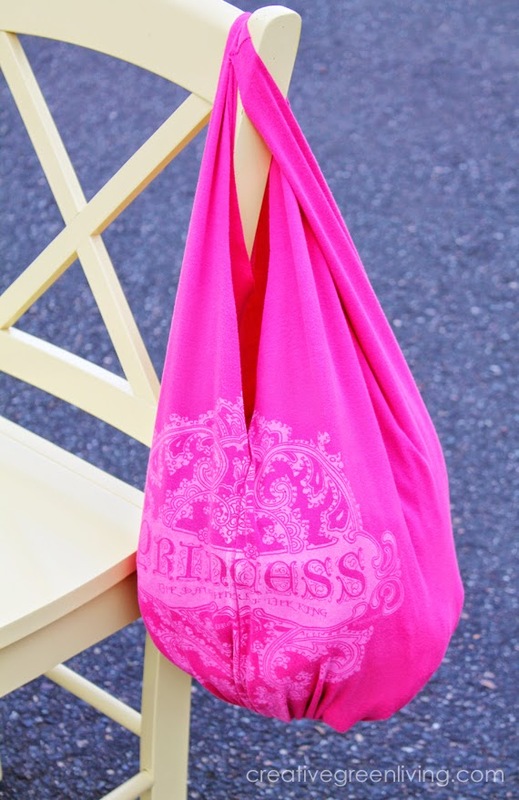 Be aware of this when using your bag - only use it to carry items larger in diameter than the hole! 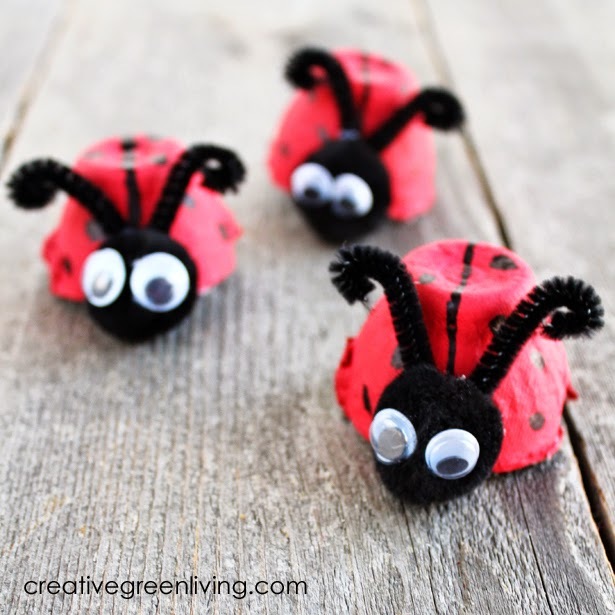 Thank you for joining me this week for Craft Lightning! Here's a look again at all the projects I made this week. 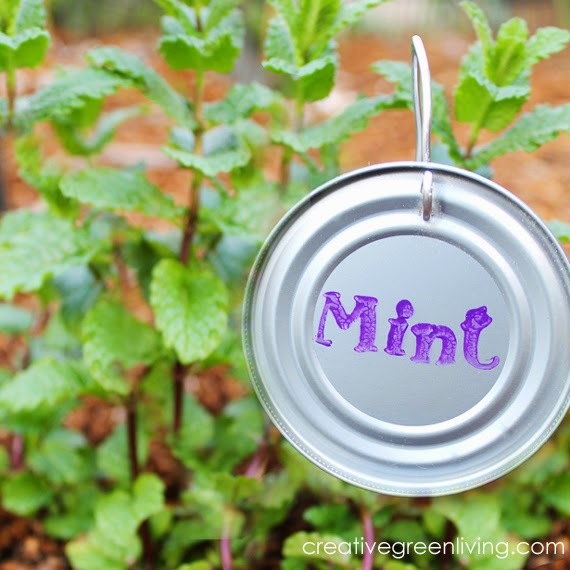 Each one can be made in 15 minutes or less and they all use recycled materials! Do you like this post? 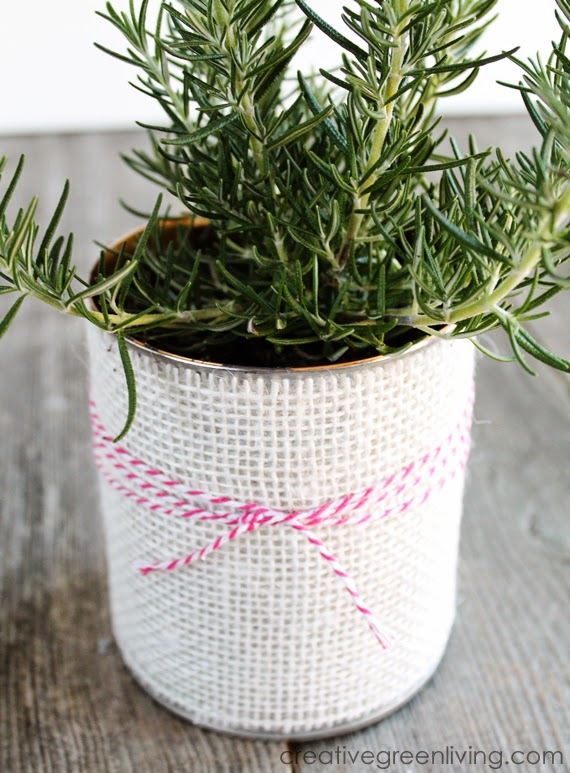 Subscribe to our bi-monthly newsletter to get fresh ideas delivered to your inbox every 2-3 weeks! 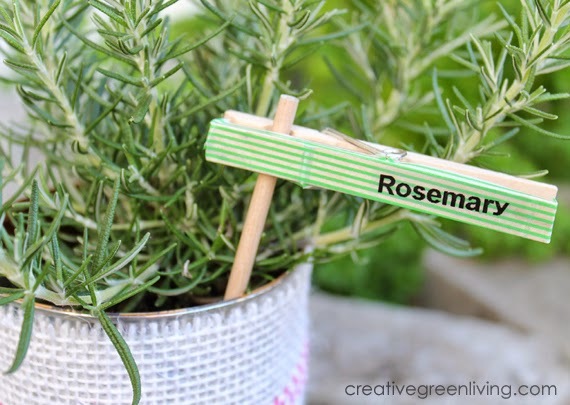 Love all the awesome creativities !